Assalamu alaikum. 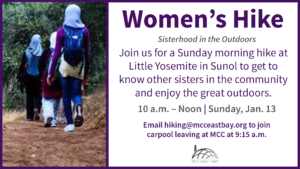 Due to inclement weather conditions we will be postponing this Sunday’s hike. We apologize for any inconvenience this may cause. 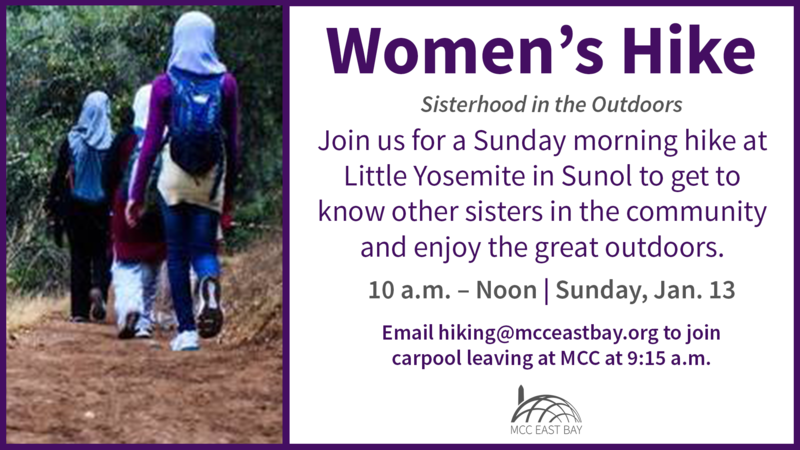 We will send an update with the new Women’s Hike details once we have a better idea of what the weather is going to look like. We look forward to meeting you all in the great outdoors soon, inshaAllah!